ROCHESTER,NY -- Don McNelly, known worldwide for powering through marathon runs and running up record totals into his 70s and 80s, has died. McNelly didn't start running marathons until he was nearly 50 after a close friend died of a heart attack. He ran his first marathon in Boston in 1969. Forty years later, he had completed 744 of them, running 26.2-mile races in all 50 states, every Canadian province and on every continent, including Antarctica. 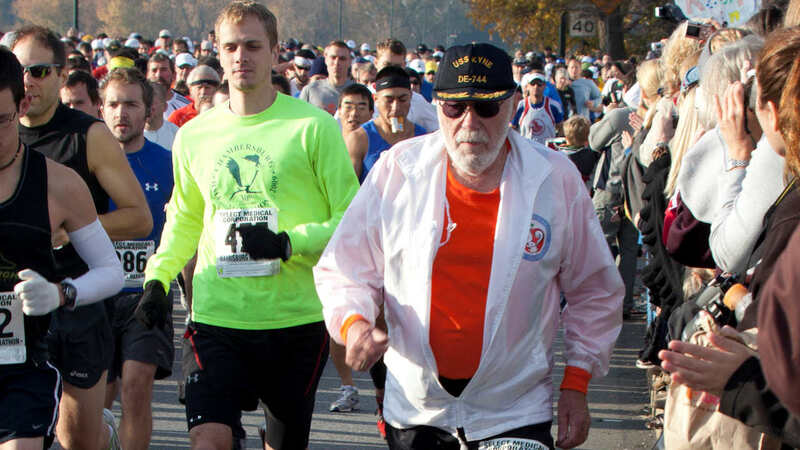 "I'm 90 and I feel like I'm 50, 60 tops," he told The Associated Press in November 2010, a week after he had to pull out of a marathon in Pennsylvania after making it about midway through the race. "I'm a lucky, lucky, lucky guy." "If he couldn't do marathons he wasn't going to do anything else," the younger McNelly told the Rochester Democrat and Chronicle.